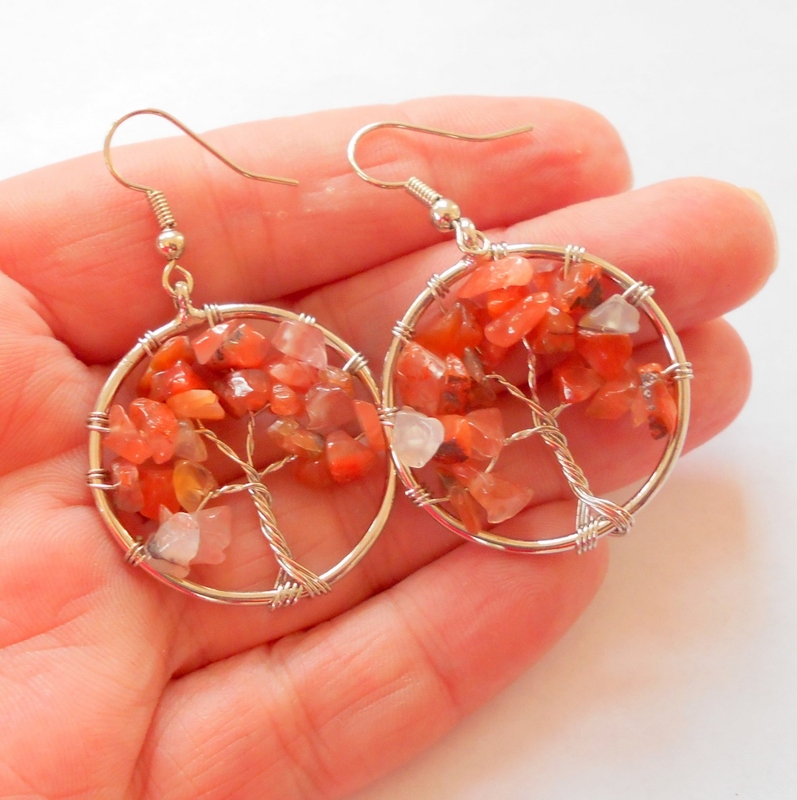 Orange carnelian faceted gemstone stelring silver earrings. In ancient times carnelian was thought to still the blood and soften anger. 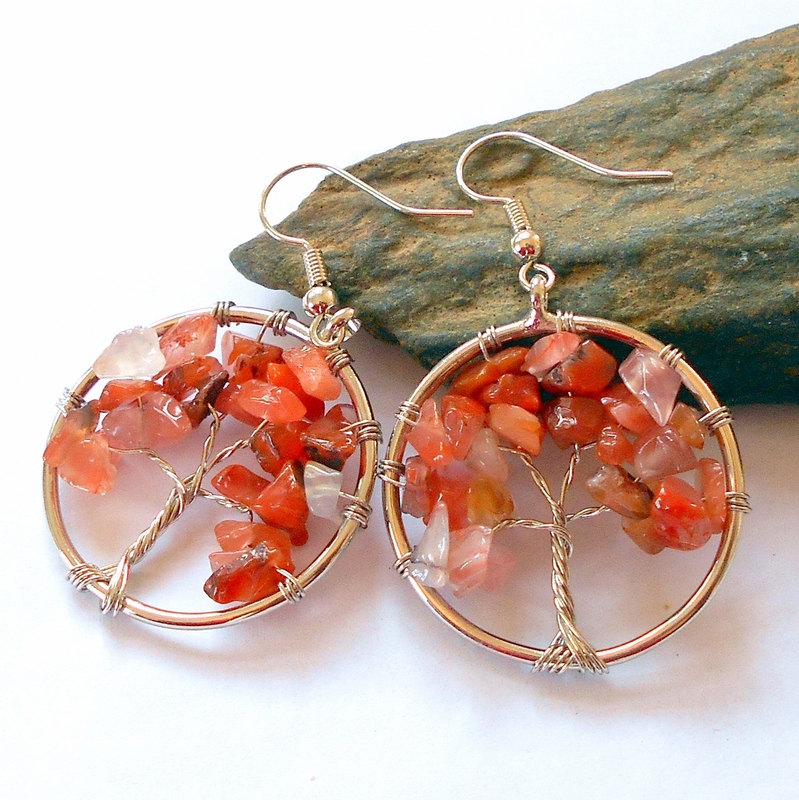 Carnelian is a gem of the Earth, a symbol of the strength and beauty of our planet. It is good for people who are absent minded, confused or unfocused. It strengthens the voice and helps one become more eloquent and charitable. This stone symbolizes good luck and contentment. Overall drop length 1 3/8 inches.